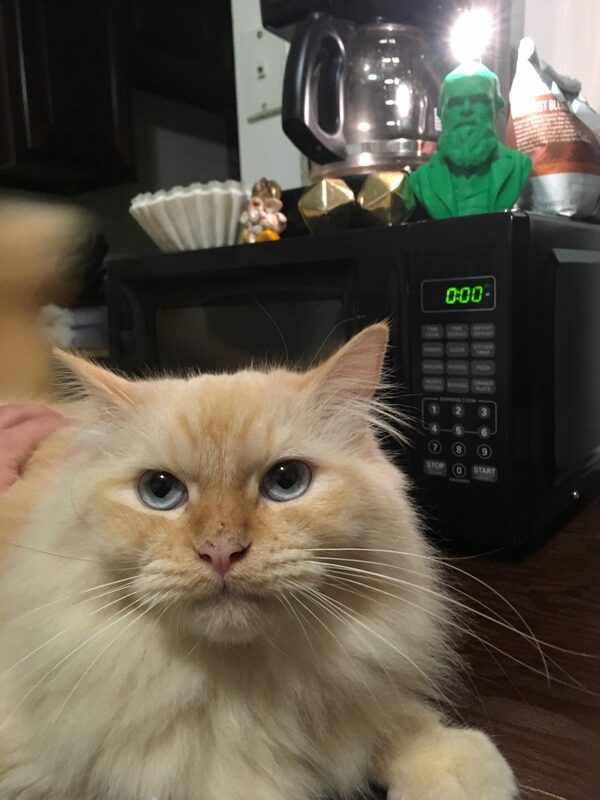 I named my cat ‘Charlie’ after Charles Darwin (the green figure illuminating light). Why Darwin? Because he theorized and represents the idea that life and intelligence evolve spontaneously over long periods of time due to variation and mutation at conflict in a struggle to survive. We’re in different parts of the evolutionary tree, but together we help each other get through the struggle of existence. 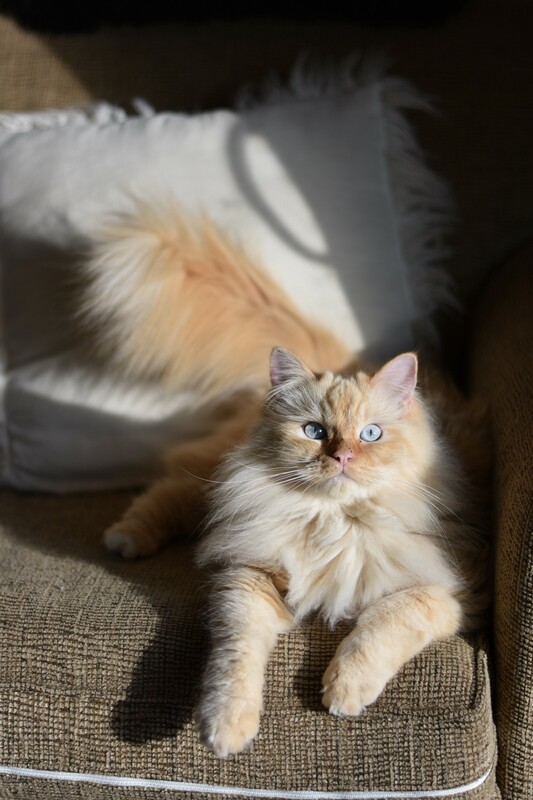 I think even though Charlie is a cat, his personality is a real as could be. Sometimes pets are just more real than people, what can I say? Another reason why I like ‘Charlie’ is that it’s cute and not too common name for a cat. So to conclude, half the reason my cat is named Charlie is that I’m a big believer in evolutionary theory’s practical applications (and a Darwin geek), and the other reason is that it simply sounds nice.